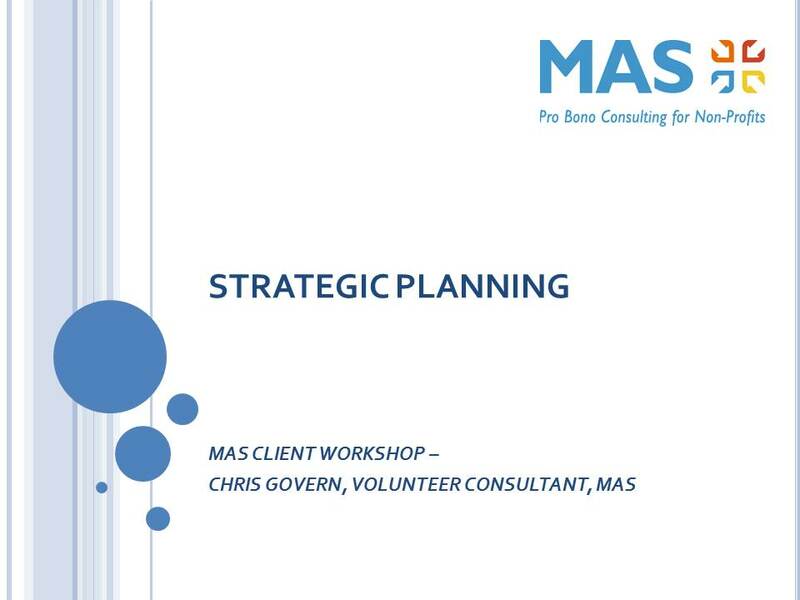 This presentation will guide you through the steps for Strategic Planning. 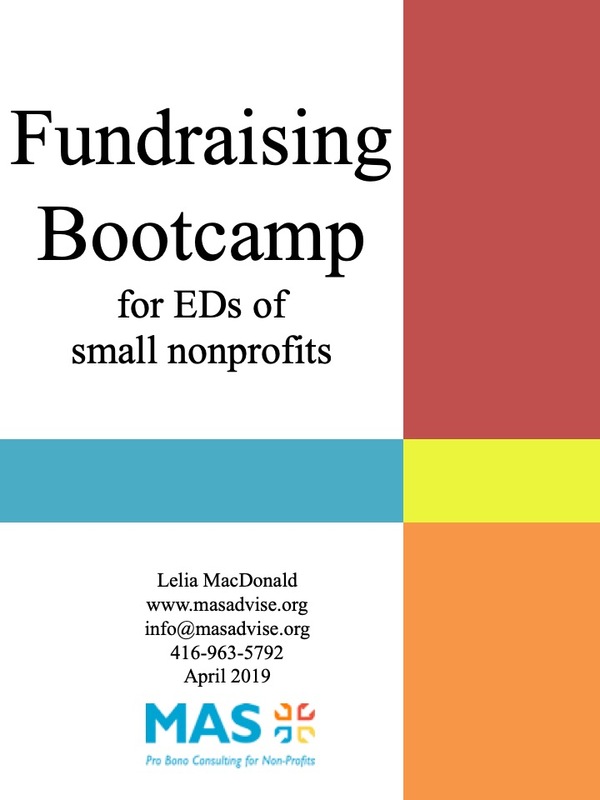 This booklet is the minimum an ED needs to know to get started in fundraising. 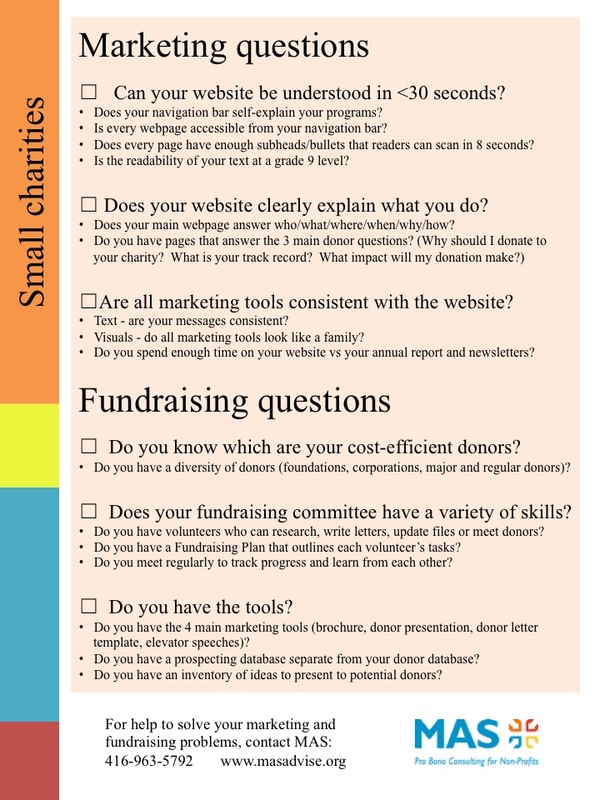 EDs of small nonprofits need to identify their key donor segments, pick one fundraising activity and do it well. 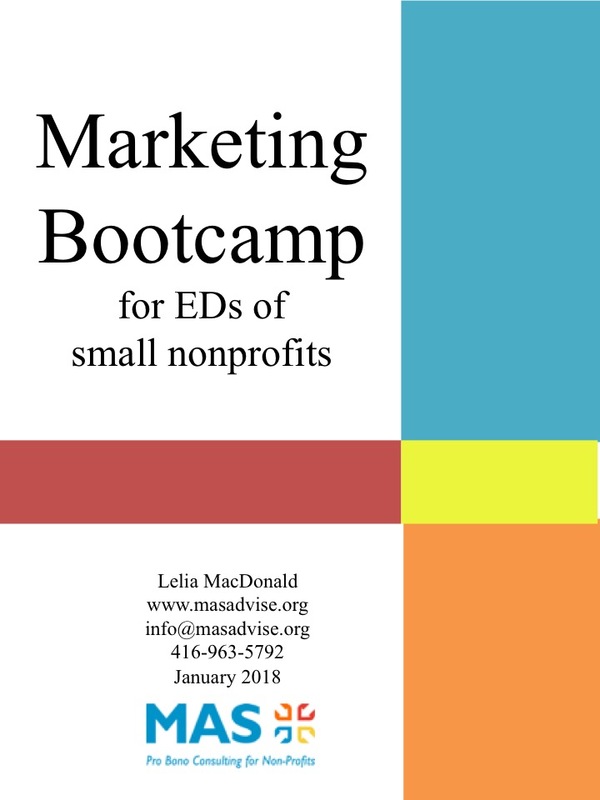 This booklet is the minimum an ED needs to know to get started in marketing. 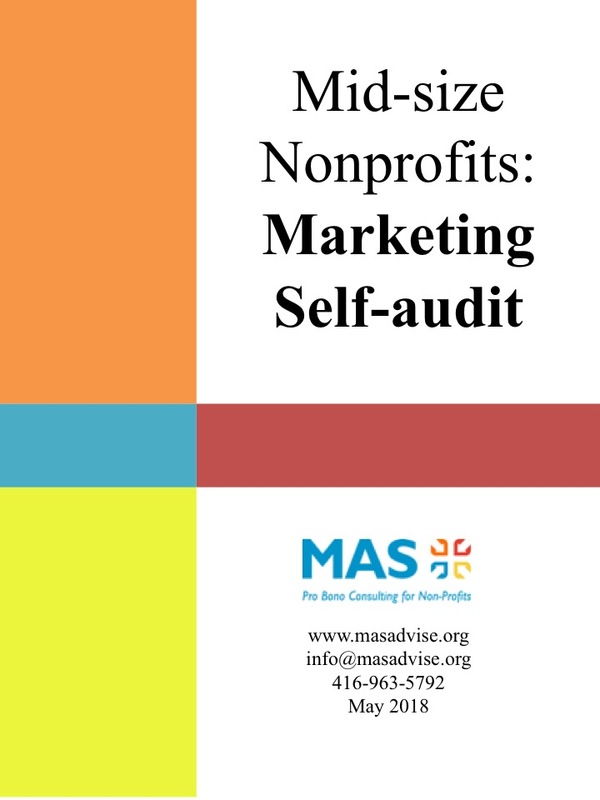 EDs of small nonprofits need to create a consistent brand for their website and promotional materials and audit yearly. 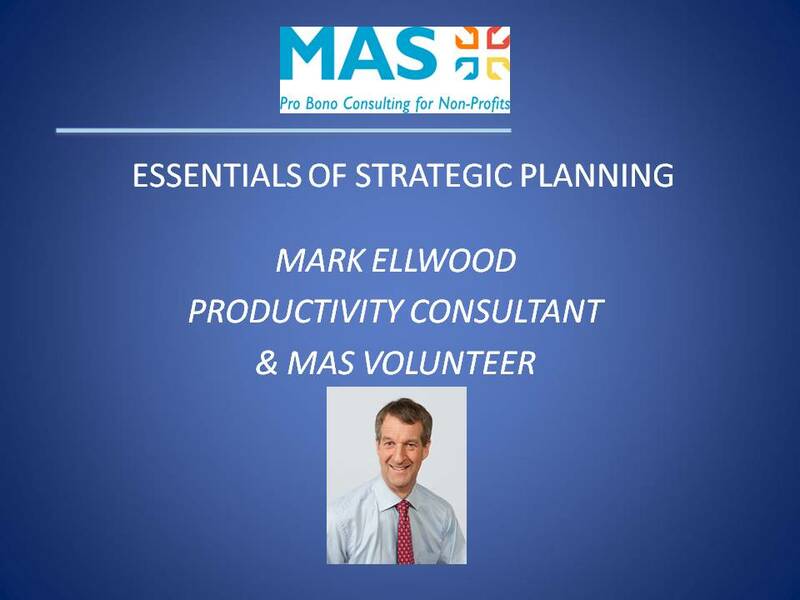 Mark Ellwood hosted a MAS Webinar in May, 2017 on the topic of The Essentials of Strategic Planning. 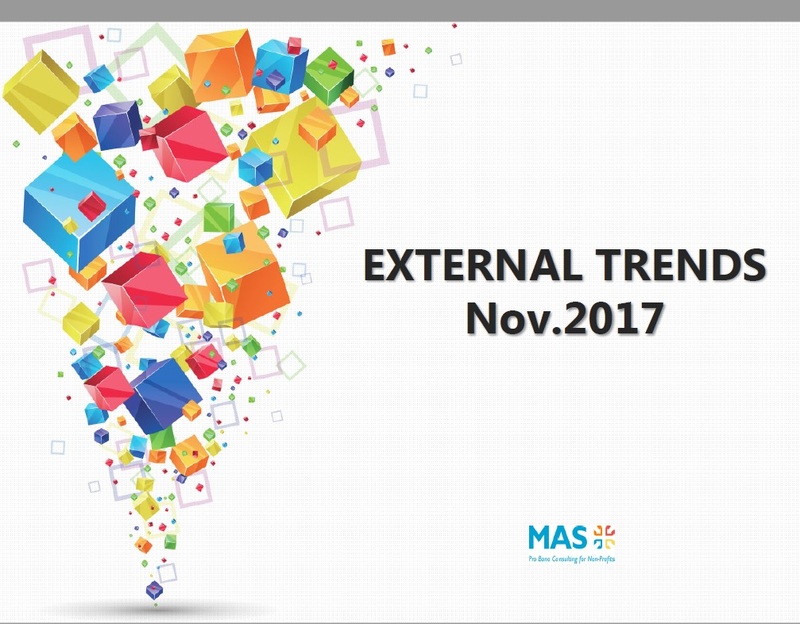 You can catch the full video on the MAS Workshop Flyer Page or download a copy of the slides here. In addition to understanding your NFP/charity itself, many of our clients look at their competition, partners, and marketplace trends in order to conduct a situational analysis as part of the strategic planning process. For board members who may not be immersed in the sector area they volunteer for, a look at cultural, demographic, social / natural trends, technological advances, economic situations or even political / legal factors help set the context for future planning. Here is an example of some of the trends NFP’s and charities could consider as they analyze the factors important for their decision making. How can your marketing department work smarter? Is there a way to work more cost-efficiently? Do a marketing audit. You can analyze the art, the science and the people of your marketing. You can perform the audit yourself, or ask MAS to audit you. 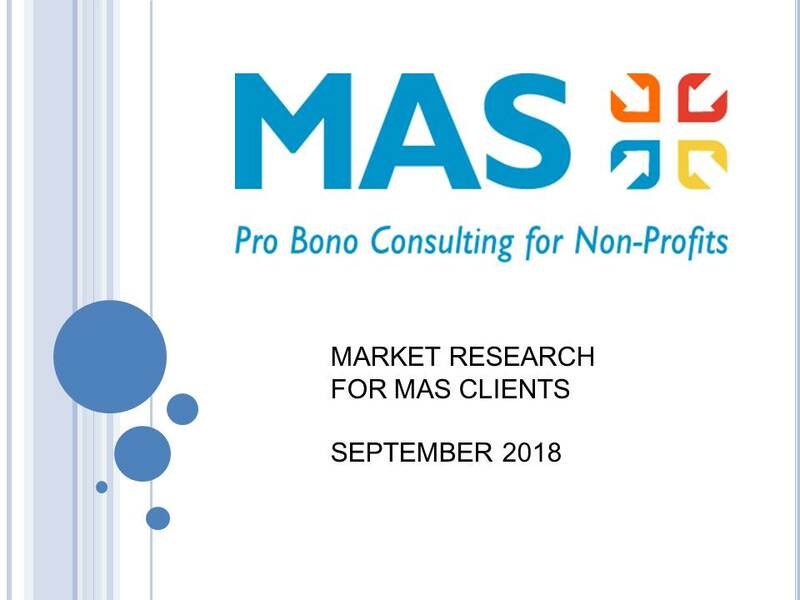 This short paper outlines the types and uses of market research for not for profits and how MAS can help you. A skilled volunteer is a volunteer who helps management with specific expertise e.g. HR, strategy, marketing. Skilled volunteers fill a gap and bring an outside perspective. Read this booklet to access skills, pro bono, from professionals in your neighbourhood. 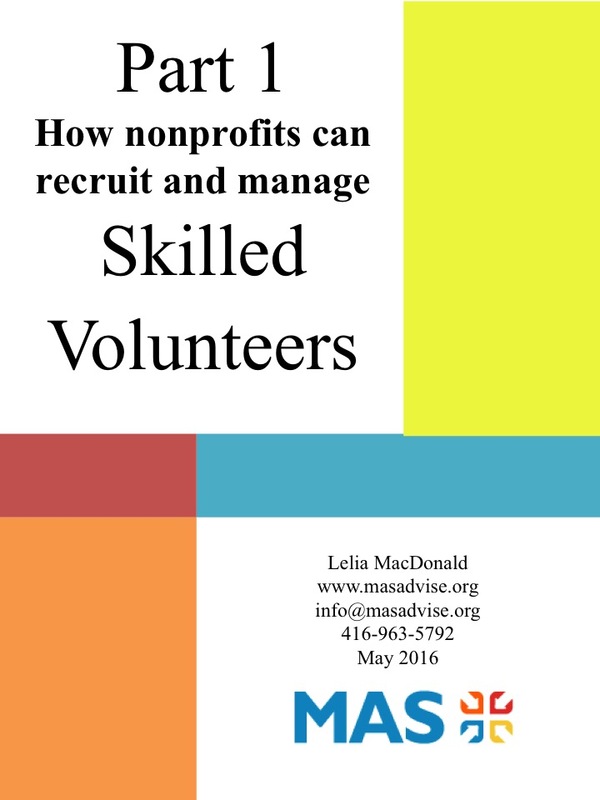 Any time a professional starts to volunteer, they have to learn the nonprofit industry on their own. This booklet contains the stats and the “soft stuff”, so that they can start giving back faster. 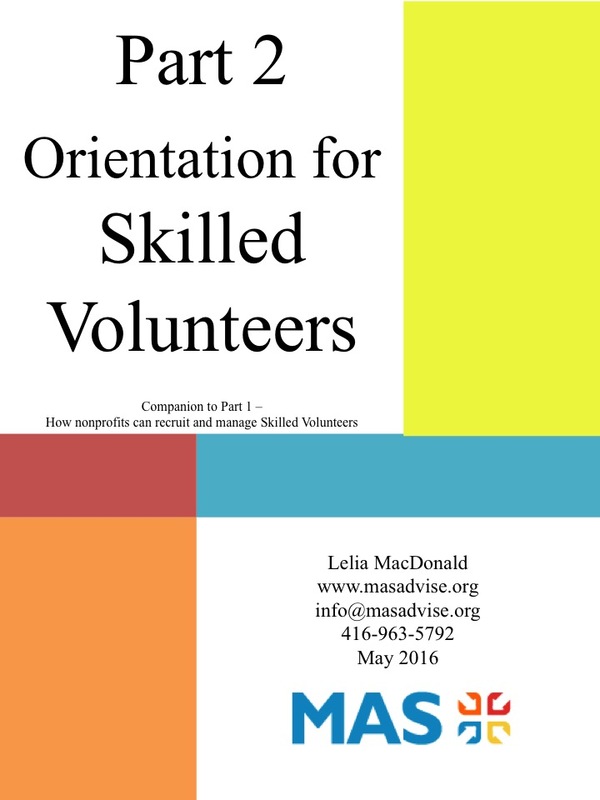 Share with all your Skilled Volunteers. 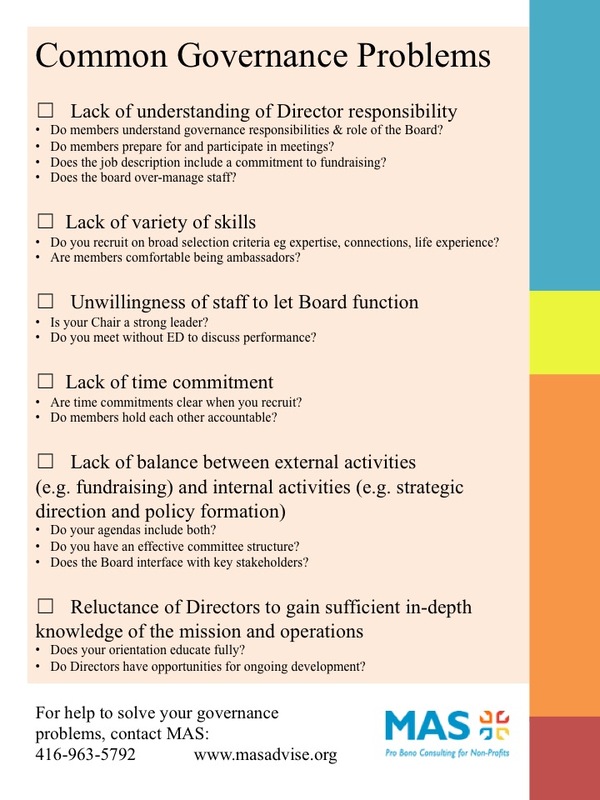 This checklist should be completed by Executive Directors and board Chairs to identify potential Governance problem areas. For assistance fill in our Request for Assistance form here and MAS can help by advising on Governance. 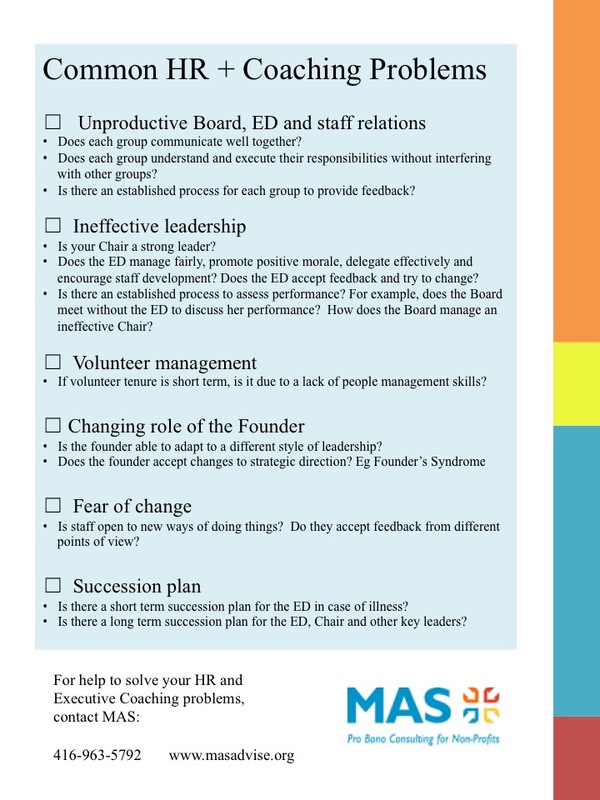 This checklist should be completed by any staff to identify potential HR problem areas. For assistance fill in our Request for Assistance form here and MAS can help by advising on HR and organizational issues. 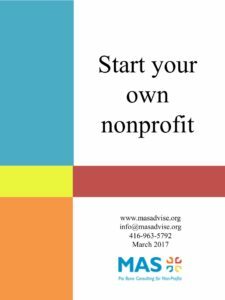 If you have an idea that you think can help others but you don’t know where to start, this MAS booklet will give you the five paths you can take to start your organization and give you links to other resources to help you along the way. If you are a potential client or volunteer or just interested in finding out more about MAS you can check it out here. If you thinking of volunteering or just interested to know more about MAS you can check it out here.